In March 2016, our friends A Firm Of Poets asked us ‘Can you sort some music out for an event tomorrow?’ … ‘What tomorrow tomorrow we asked?’… ‘Yes tomorrow tomorrow’ came the reply … and LO!!! Gudrun’s Sisters were born. 2/5ths of Some Like It Ossett, Seonaid and Jacqui donned garb from their sartorial leader Gudrun Sjoden, grabbed their instruments and headed to Unity Works in Wakefield for the debut performance of ‘Gudrun’s Sisters’. Their sublime blend of ukulele, fiddle and voice royally entertained the crowd, and what seemed like a one-off performance is now a ‘THING’!!! 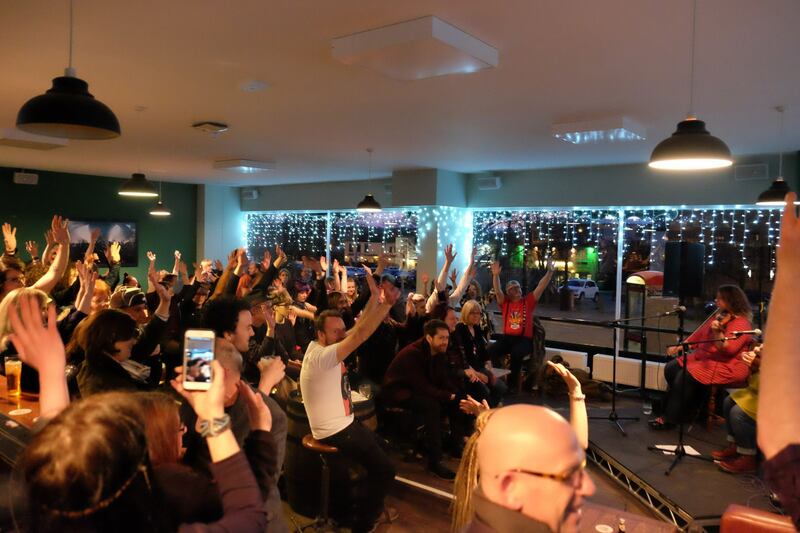 A week later, they found themselves entertaining a packed restaurant in North Leeds and have offers to play at festivals, parties and other events in their native North. If you like your music morose but colourful, Gudrun’s Sisters are your gals. Their ambition for 2016 is to do an in-store performance for Gudrun Sjoden UK … will play for frocks!!! Watch this space!! 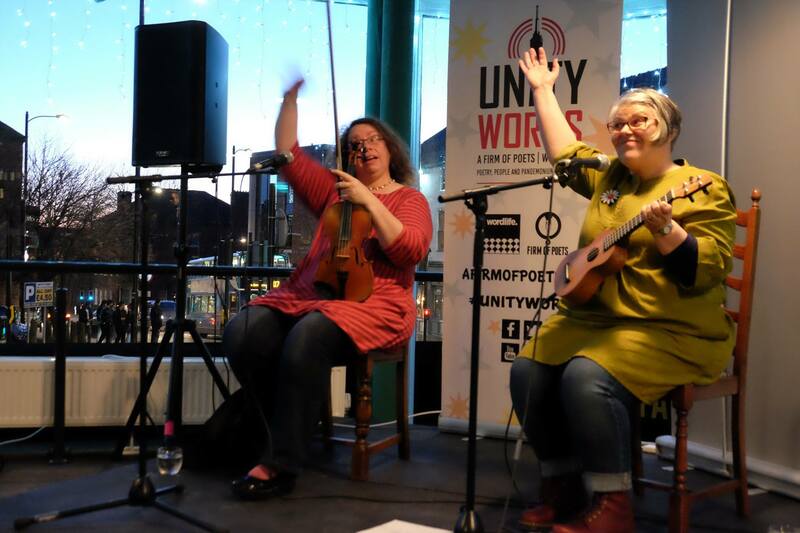 The crowd getting in the Gudrun Sister’s groove at Unity Words. Photo by Paul Crilley.